James Mirtle of The Athletic: There isn’t much coming out lately between the Toronto Maple Leafs or William Nylander‘s camp. Maple Leafs GM Kyle Dubas has met with some teams including the Minnesota Wild. 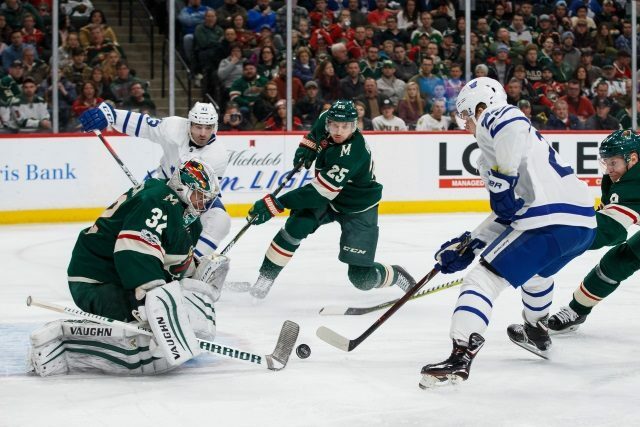 The Wild could use some skill up front and have some defensemen that might interest the Leafs. Jared Spurgeon could be one Wild defenseman of interest, but more pieces would have to be involved. Some believe that Dubas is just gauging options and seeing how teams value his players and prospects. If Nylander’s camp is holding firm at around $8 million per season on a long-term deal, it might scare off any potentially interested teams. Mirtle would be on a bridge deal with three weeks remaining. Mike Harrington: Buffalo Sabres winger Jeff Skinner is in the final year of his deal that carries a $5.725 million salary cap hit, and he’ll likely be looking for more than that on a long-term deal. Skinner said yesterday that he’s happy in Buffalo so far, but will leave the business side of things up to his agent. “For me as a player, you focus on the things you can control,” Skinner told The Buffalo News after practice Wednesday. “There are agents and management people, guys who are really a lot smarter than me, who deal with that kind of stuff. Fortunately for me, I focus on playing. That sort of thing will figure itself out in time.